In the year’s most action-packed sci-fi adventure, Jim Caviezel (The Passion of the Christ) stars as a futuristic soldier who crash lands on Earth with a hellish, fire-breathing monster in a time of warring Viking tribes. Fusing advanced technology with Iron Age weaponry, he must unite the fierce Vikings and hunt the bloodthirsty beast before it kills them all. 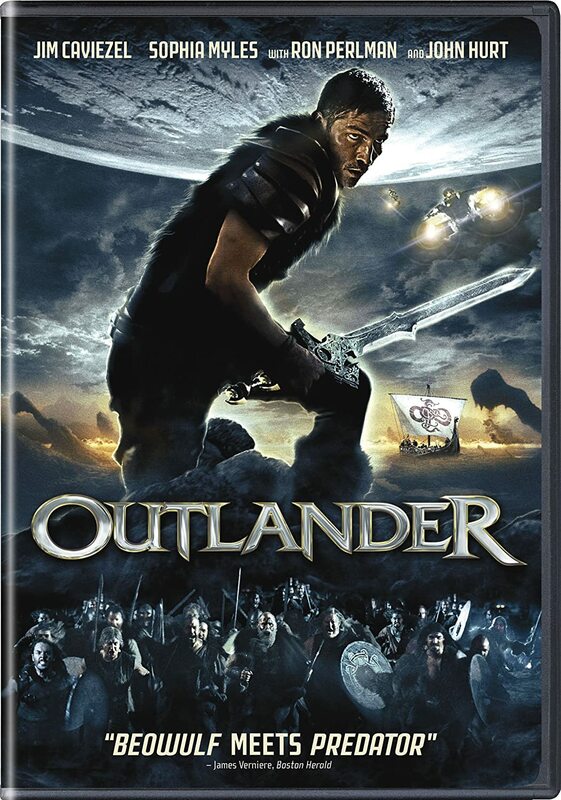 Featuring Ron Perlman (Hellboy films), Sophia Myles (Underworld films), and John Hurt (Indiana Jones and the Crystal Skull), Outlander is “visually spectacular” (Michael Wilmington, Chicago Daily Herald), combining stunning special effects, fast-paced action, and a fantastic story to explosive effect.